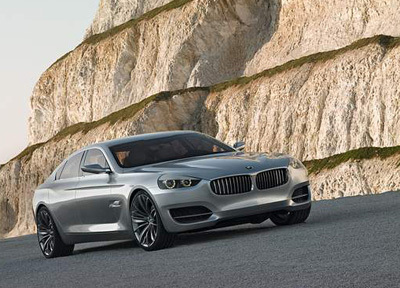 The BMW Concept CS was a suprise reveal at the 2007 Shanghai Motor Show. 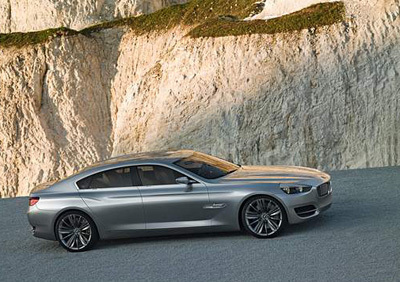 One of the first high profile 4-door concept cars BMW has revealed in many years, the Concept CS is designed to rival the likes of Mercedes' CLS and Aston Martin's Rapide concept in the luxury four-door coupe market. 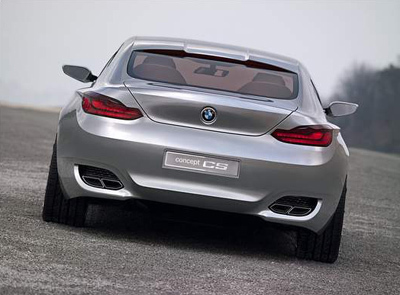 In its exterior design the BMW Concept CS displays a low-slung stretched silhouette, long engine compartment, aggressive lines and contours accentuating the rear-wheel drive layout. It's a long way from elegant, but the concept CS's aggressive design works well in context and highlights the power emanating from the 6-litre V12 engine derived from the BMW M5's V10 unit. 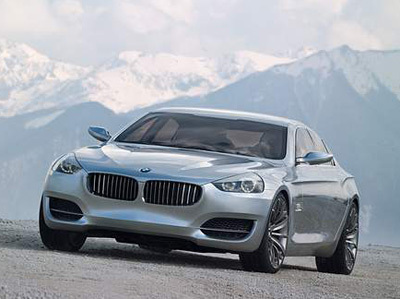 Either side of the large, distinctly BMW, kidney-grille are the headlights. Here innovative technology serves to generate a powerful and consistent light beam: Innovative LED reverseprojection lights bundle their light on a reflection area from where the beam is conveyed smoothly and accurately to the road ahead. of the cockpit is an invitation to active motoring.